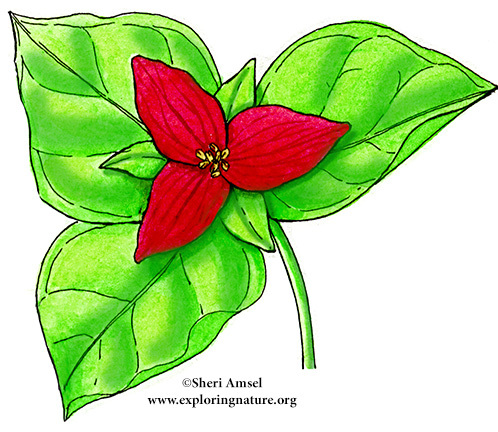 The flower has 3 dark red-maroon petals. It has three large, pointed leaves that whorl around the stem below the flower. The flower does not smell good. They bloom April through June. 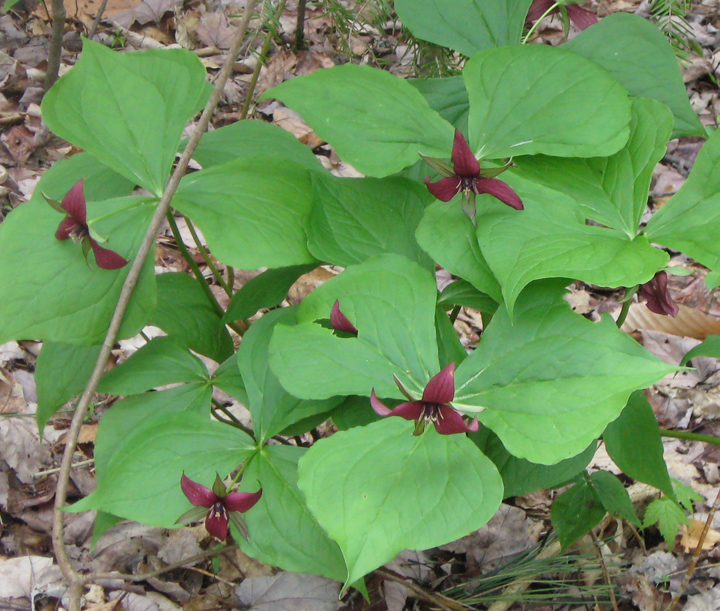 Also called wake-robin, birthroot or purple trillium.